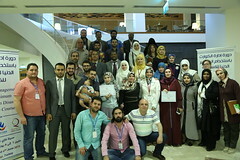 The Building a Better Response (BBR) project aims to enhance the capacity of national and international NGO workers and other humanitarian actors to engage with the international humanitarian coordination system in a manner that improves overall coordination and responds to the needs of crisis-affected populations. Through a consultative approach, the program produces capacity strengthening tools including e-learning and in-person workshops. 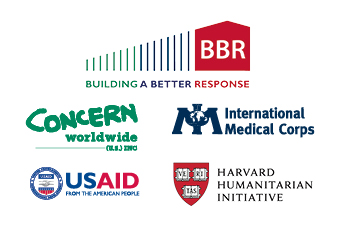 Spearheaded by International Medical Corps (IMC), and in collaboration with Concern Worldwide and the Harvard Humanitarian Initiative, the BBR project is being implemented through a consortium that leverages a unique combination of operational and technical expertise. Through a consultative and multi-targeted approach, the programme produced capacity strengthening tools that increase the impact of emergency responders. These tools will be broadly disseminated through global networks, including international and national-level NGO consortia, in order to ensure maximum exposure and impact. 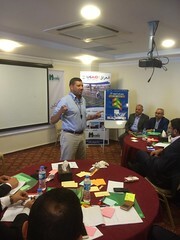 The project has launched a series of integrated learning workshops to strengthen NGO capacity on the international humanitarian architecture. These 2 or 3-day workshops (subject to participants’ needs, time availability etc) for NGO staff builds on the e-learning course on BBR (developed and hosted by Harvard University) to improve understanding of the international humanitarian architecture and help participants identify where they can take action and engage directly within the system. 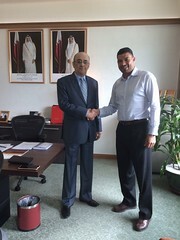 OC has been contracted to facilitate the roll out in Arabic speaking countries. 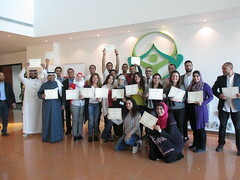 From contributing to the Arabic version of the e-learning (now launched) to facilitating face-to-face workshops. A brief leaflet on the project is also available in Arabic.